The latest sign robots are taking over the world: They're building a bridge over an Amsterdam canal. 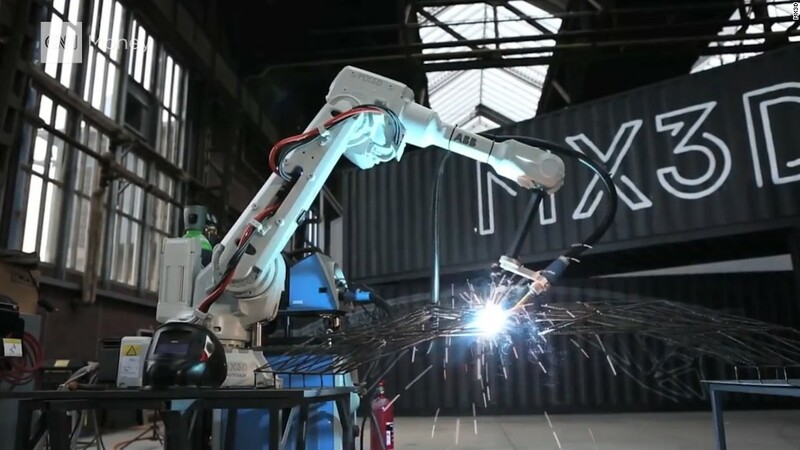 That's the plan at least, for an ambitious project that will use industrial robots to print a metal bridge over water by "drawing" steel structures in 3D. 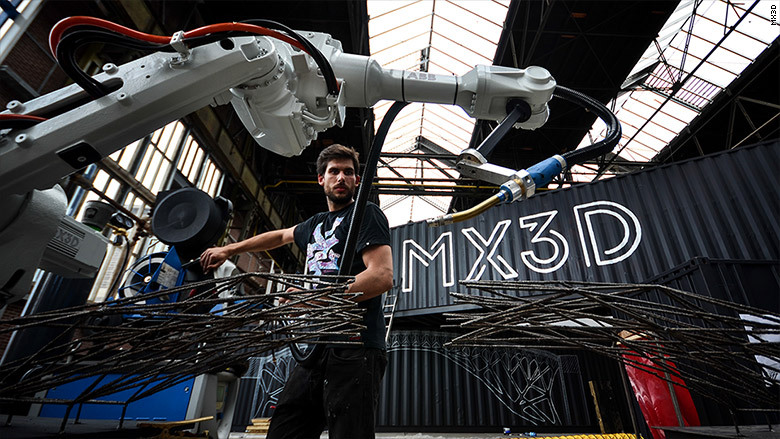 Dutch robotic printing firm MX3D is leading the gravity-defying build. Here's how it will work: Engineers start with a piece of metal attached to a canal bank. The robots begin at one side of the canal, adding small amounts of molten metal to create lines in midair. The lines intersect to create a self-supporting structure -- in this case, a bridge. 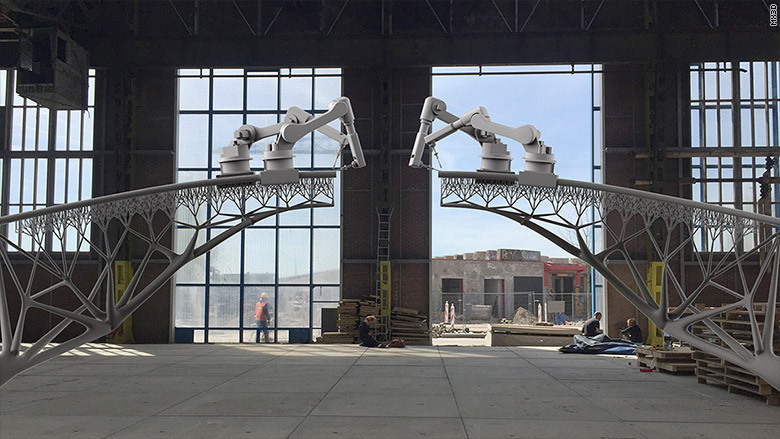 "This bridge will show how 3D printing finally enters the world of large-scale, functional objects," said designer Joris Laarman. It's early days for the robot bridge, and the team hope to begin construction by 2017. The exact location will be revealed later in the year. 3D printing continues to gain ground, for large and small objects. The technology is transforming lengthy prototyping processes in industries ranging from aerospace and consumer electronics, to medicine and cosmetics. Technology consultants Lux Research forecast the 3D printing industry will be worth $12 billion by 2025. The machines have gone mainstream in recent years. Amazon (AMZN) has a 3D printing store, while Staples (SPLS) sells MakerBot products as well as the Cube from 3D Systems. But owning your own 3D machine is pretty pricey - the MakerBot Replicator Mini sells for $1,375.